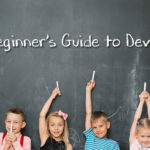 DevOps is the overarching term for the current trend in the industry, which tries to eliminate the gap between software development and IT operations. 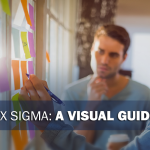 It benefits everyone by emphasizing communication, enhancing collaboration, and fixing deployment automation. Not to mention, it improves carry out time of a particular task when these two processes are combined into a more efficient one. It also helps developers in configuring, deploying, and managing their internal systems through codes. Its processes such as Continuous Integration/Continuous Delivery (CI/CD) are now easier and faster to execute. So, instead of manually doing the work from the ground up, developers are now observing and assisting DevOps through the line of codes. Furthermore, developers are learning how to do things in the public cloud environment and saying goodbye to physical centers. 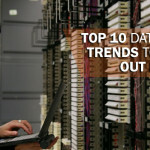 Through cloud environment, sharing and processing of data are more efficient. 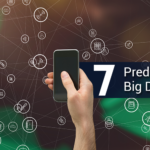 Thus, developers are equipping themselves with programming languages that will allow them to control their internal system without being physically there. Moreover, it integrates seamlessly with the .NET framework using its specialized codes. PowerShell can run functions and commands done inside the programming language. Puppet is the jack of all trades in terms of programming languages. Automation and scripts management inside your system is built through its signature script language. A lot of businesses use Puppet as well because it’s an open source configuration management tool. If PowerShell is to Microsoft Windows, then Bash is to Linux. Bash carries a lot of support because it was developed from the biggest names in the industry and the history it has gone through to be where it is now. Its command shell and scripting language power thousands of Linux systems globally. Take note, though, that it’s available for Windows and Mac, too. PHP covers your internal system from its early stages up to the implementation. It’s a general programming language all over the world. If you want to use a programming language for non-specific coding, then PHP could be utilized for your DevOps. Since DevOps is a combination of software development and IT operations, Perl is a little bit on the application development side. Perl is known to be good at handling text and text codes inside the system. The details of codes in larger applications can be addressed easily by Perl as a programming language. Ruby is the full programming language that allows you to manipulate frameworks and controllers. It’s such a powerful programming language that it has built Ruby on Rails. Some web pages, databases, and other complex applications existing today are running because of Ruby on Rails. Java is the most popular programming language out there and is highly being used today because of its versatility and power. It’s one of the first programming languages that a developer learns about. Although it doesn’t go as in depth as other languages, it gets the job done. C is a cut above the rest because it’s also a procedural language than just a programming language. It means that it can carry out routines and subroutines to build a program. It can deal with the APIs and SDKs, along with the hardware itself. To address the multitude of data in the industry, it’s essential to know a programming language such as Structured Query Language. Its strength is to handle database queries and operations. You can even attack-proof your internal system by learning how SQL really works. Tcl elevates the game because it merges application deployment automation and industry Internet of Things (IoT). If you find the need for your internal system to be uniform from head to toe (testing, automation, IoT), then Tcl is the perfect programming language for you. Not to be confused with Java, this programming language started as a tool to build applications. Its home is in the browsers like the HTML, but through the years, it has great innovations in terms of server-side implementations in virtual machines. The tech industry is moving at a pace that reinvents itself because of the arising needs and wants in the society. 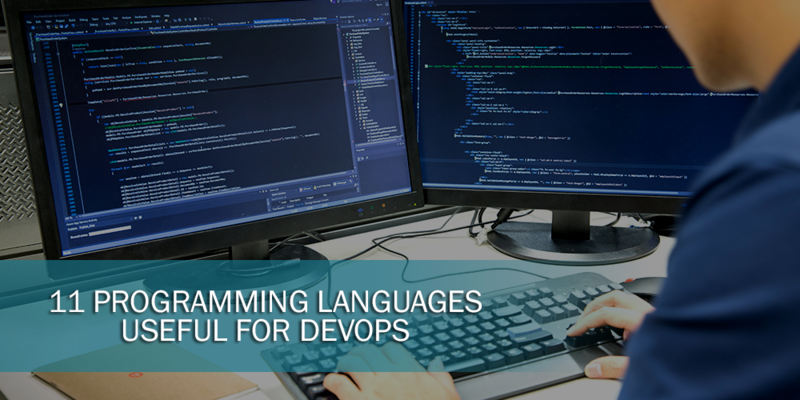 As a developer, it’s never too late to learn these different programming languages since this is already an in-demand skill in the industry because of how technology is moving to advanced ways of automation and operation. You can have a full grasp of the DevOps training by taking some courses such as APEX’s DevOps Foundation. Shuba Kathikeyan heads APEX Global, the learning solutions arm of ECC International (ECCI). She has over 10 years of experience in the areas of project management, business analysis, software development and IT service management. She carries several international certifications in the areas of ITIL, Business Analysis, Project Management, Microsoft Technology and Learning Management amongst others. Shuba has a passion for process improvement, training and new product development. APEX Global (The Academy for Professional Excellence) is the learning solutions arm of ECCI – the leading process improvement solutions provider in Southeast Asia. 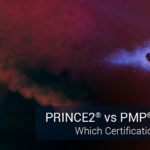 PRINCE2® vs PMP®: Which Certification is Better?